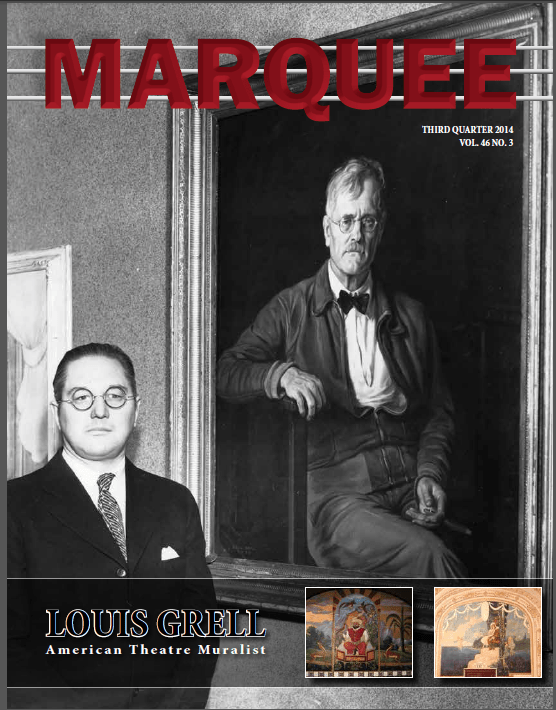 MARQUEE magazine Q-3 2014 Theatre Historical Society of America | Louis Grell Foundation - "Showcasing the Legacy of Artist Louis Frederick Grell"
MARQUEE magazine is HERE! The Third Quarter issue of the Theatre Historical Society of America’s theatre magazine is dedicated to Louis Grell and his Theatre mural work across America. Visit http://www.historictheatres.org/product/2014-marquee-vol-46-3/ to purchase your copy today for $5!